Maharashtra govt. 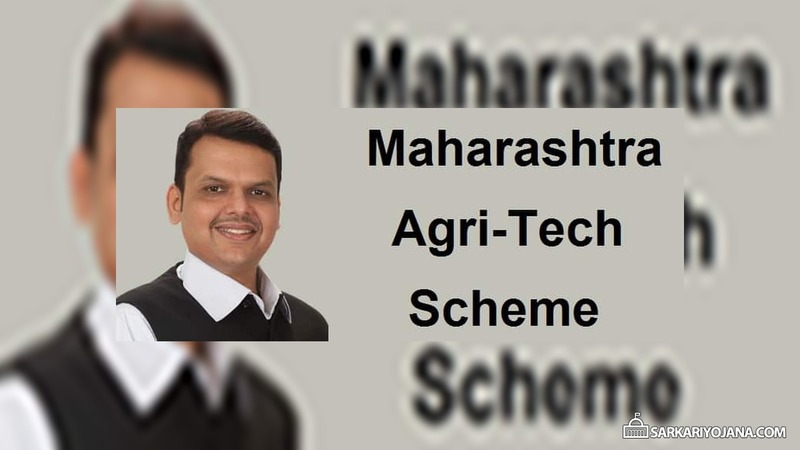 has launched Maha Agri-Tech Scheme 2019 for digitally tracking agriculture management. Now all the information related to farming i.e from seed sowing to crop harvesting would be tracked. This Agri Tech Scheme will check the sowing area, atmosphere, various diseases on crops and will provide information to farmers. Now the farmers would be able to access this agriculture related information and will also help them to handle it immediately. Maharashtra Agri-Tech Scheme is the first-of-its-own-kind of scheme in the entire nation and is now started by CM Devendra Fadnavis. This venture will be helpful for farmers and peasants of the state as this will use satellite and drone technology. At the LokSamwad program, CM has started Maha Agri-Tech Scheme 2019 to provide agriculture related information to farmers which will benefit them. Maharashtra Remote Application Centre (MRSAC) and Indian Space Research Organization (ISRO) had assisted the state govt. to implement this program. In the first phase, the Rabi season crop planning in 6 districts and the crop wise sowing area details has been attached with the computers for digital tracking. All the problems faced by the farmers in the agricultural sector are going to be resolved using this technology. Around 1.5 crore farmers would be brought on a digital platform through this Maha Agri-Tech program. The state govt. will perform a survey of time from sowing to harvesting by measuring the crop wise area using satellites. After harvesting, farmers can know details about the produce and will also assist them in getting good price of the agriculture produce. Maha Agri-Tech Scheme will also inform about the change in weather, crop diseases in order to enable farmers to take immediate action and prevent further loss. This is the first-of-its-kind digital tracking system to track farmer digitally. MRSAC and ISRO had given laudable help in implementing Maha Agri-Tech Scheme 2019. CM said that a large number of farmers have already been benefited and are narrating their success stories before the entire state. As the schemes related to farming are made online, possible irregularities have been curbed and transparency is being experienced. At the launch event, CM spoke with farmers of various districts for more than 3 hours and heard their problems keenly. Moreover, CM also carefully listened to the instructions given by the farmers and gives them assurance that these instructions would be acted upon in the future.